With the Android M developer preview being made available to the public today, some of the secrets of Android's latest OS have been unwrapped and shown to the public. One secret that still remains is which dessert themed name beginning with M the next gen software will be known by. 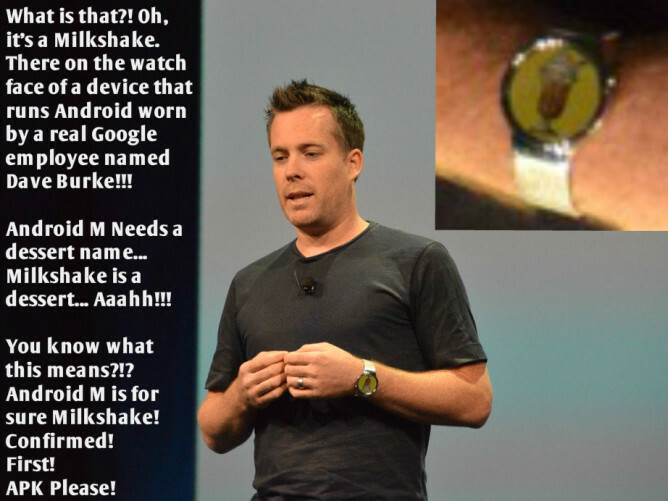 Well, there is nothing that the internet does a better job of than spreading rumors, and the image on the face of Google's own David Burke's watch started a big one. There, on his shiny new Huawei Watch (Huatch), was the picture of a milkshake for all to see, a dessert that just happens to start with the letter M. The picture below pretty much sums up what happened next. However, before anyone could bust out the maraschino cherries and whipped cream to celebrate unlocking the secret name of the new Android OS, Dave took to twitter to calm things down. Bummer, and it seemed like such a good theory. So it turns out Dave just likes to cycle through different images of desserts that start with the letter M on his watch. 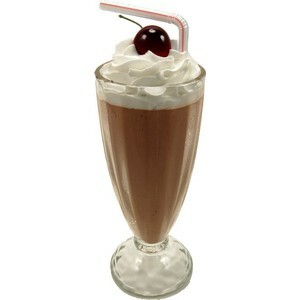 Desserts like milkshake, milk (is that a dessert? ), a meteorite (don't even start to tell me that looks like a macadamia nut cookie), and malt whiskey (what?). Anyways, how about you guys, are you convinced? Is Milkshake the official name of Android M, or is it something else? Let us know in the comments below, and please also tell us what you think the new name should be. My vote is on Milky Way because – Hey, wait just a minute, something just occured to me. There are meteorites in the Milky Way and Milky Way is a candy that starts with the letter M... Oh man, I've got to go guys, I have some internet rumors to spread.